The Plymouth Arts Center Singers are preparing another exciting concert of old favorites to popular movie hits to entertain audiences this spring. “Musical Potpourri,” PAC’s 18th Annual Spring Concert, will feature songs from “The Greatest Showman” and “Joseph and the Amazing Technicolor Dreamcoat” along with several unforgettable song selections. Director Barb Zirwes-Nysse and assistant director Mary Fellenz lead the choir of over 40 talented singers who are eager to share their enjoyment of music with the community. 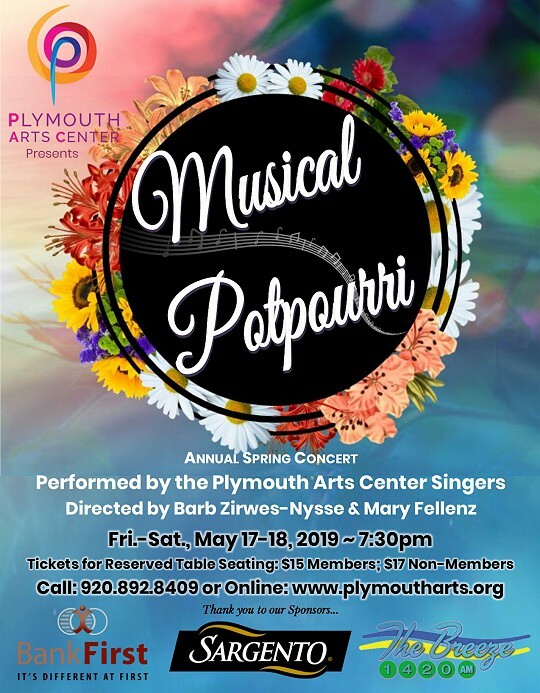 Musical Potpourri will be presented, Friday and Saturday, May 17-18, 2019 at 7:30pm. Tickets are: $15 for PAC Members; and $17 for Non-Members, (tax included.) Tickets may be purchased at the PAC Box Office, 520 East Mill Street, Downtown Plymouth, Tuesday through Friday 10am to 4pm, call: 920-892-8409 (voicemail 24/7) or conveniently through the PAC website: www.plymoutharts.org. Mastercard and Visa are accepted. 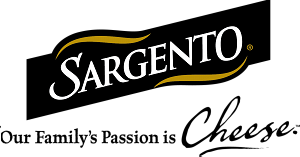 The show is sponsored by Sargento, Bank First, 1420 the Breeze Radio Station, and the Wisconsin Arts Board.